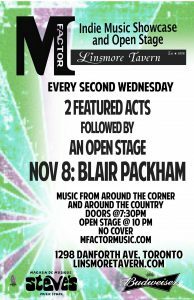 Blair will play a 35-minute opening set of songs old and new with his trio, Good Bones, featuring Topher Stott on all manner of percussion, and Jim Nielsen, on upright acoustic bass. 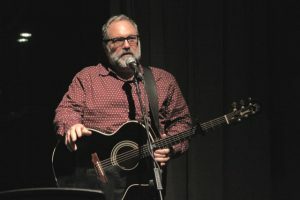 Along with Suzie Vinnick, Julian Taylor, Keith McKie, and curator Rosanne Baker Thornley, Blair will perform the song he wrote for the Acoustic Guitar Project's Toronto chapter, plus a bunch more. Temerty Theatre, Royal Conservatory of Music, 273 Bloor Street West, Toronto. Bluebird North is a songwriters-in-a-row-trading-songs-and-stories event that has been showcasing Canadian songwriters since 1995. The January 28 edition features Skye Sweetnam & Matt Drake, Nefe, and Jessica Mitchell, along with host Blair Packham. Various locations in Toronto's Broadview and Danforth district. Blair Packham & Patrick Ballantyne joined by special guests the Oh Chays! Mill Street asks you to join us for Earth Hour, Saturday Night March 25th. At 8:30 pm Mill Street Brewery will host “Lights Out with Mill Street” – candle lit parties that join the community in a symbolic environmental effort. Catch live acoustic performances over candle light by bands from Indie Week! Make a dinner reservation and enjoy live original music in this beautiful wine bar. For more information, please contact The Old Winery at 905-468-8900. Canadian songwriters DALA, Washboard Hank, and Ivana Santilli come together with host Blair Packham to perform their music and tell us about the inspiration, the songwriting process, and the stories behind the songs. Doors 7:30, show at 8 pm. Tickets from rcmusic.ca. 7 pm doors, 7:30 pm music, with special guests The Jitters. Celebrate Canada's 150th birthday at Canada Days at Nathan Phillips Square! From June 30 to July 3, Canada Days at Nathan Phillips Square will bring Canada's rich cultural fabric to life through an incredible mix of music, dance, circus, and street arts. Blair Packham will host the Canada 150 Stage's opening night on June 30th. Host/performer for the SongStudio workshop's faculty concert, also featuring Steven Page and Rik Emmett. A full evening of music with fellow songwriter Patrick Ballantyne. 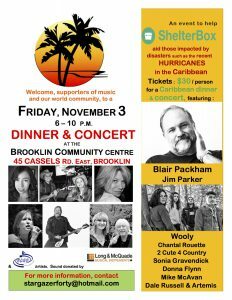 Brooklin Community Centre, 45 Cassels Rd. East, Brooklin, ON. 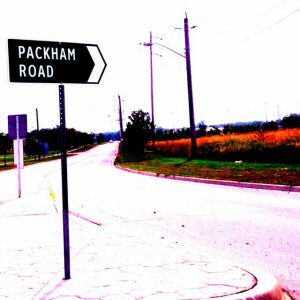 Music from around the corner and around the country. It's a showcase AND an open mike afterwards. Two featured artists start the night off, and then the stage is opened up to anyone with a song to sing or a story to tell. The long-running, globe-spanning International Pop Overthrow is hitting Hamilton, Ontario, for the first time. It's all about catchy, smart and sometimes smartass songs, with jangly guitars and lots of harmony vocals. 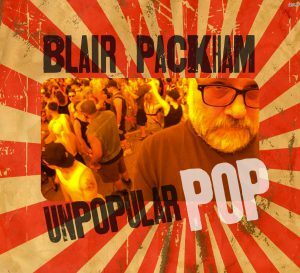 Blair will be appearing nearly naked, er, nearly solo, with longtime (Platonic) companion Jim Nielsen, the Abnormal Norwegian, on bass and harmonies. 8 pm (doors 7:30) Royal Conservatory of Music, Temerty Theatre, 273 Bloor Street West, Toronto, ON The Bluebird North has a new name: "SongBird North," and this will be the first edition of the 2017/2018 season. Guests TBA. For more details about tickets, etc., check rcmusic.ca or watch this space.